I hate mushrooms. Wish I liked them, but I just don't. 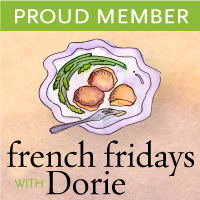 So I knew this week's French Fridays with Dorie selection of Paris Mushroom Soup would be a challenge. My husband loves mushrooms so there was a good chance that he would enjoy this soup. I am committed to continuing to try mushrooms on occasion in the hopes that my taste buds will one day scream 'Yum' instead of 'Yuck'. While at a restaurant last month, the waitress brought out an amuse bouche (this was a much fancier restaurant that we normally go to) and I was randomly served a teeny cupful of mushroom soup. Longingly, I looked over at the crab dish my tablemates were served but decided this was a good opportunity to give mushrooms another go. I picked up the lilliputian spoon and tasted the creamy broth. To my surprise, it wasn't too bad. I was prepared to finish it off when someone at the table offered to swap with me. A little disappointed, I agreed primarily because they are allergic to shellfish. With that experience fresh in my mind, I tried to be optimistic about this recipe. I sliced and cooked down the mushrooms, all the while trying not to be repulsed by the smell. I decided to blend the soup with an immersion mixer because I was planning on making milkshakes with the blender that same evening and the thought of using the same appliance for both on the same day was off putting. The immersion mixer worked well but I knew that the color and texture would not be to my husband's liking. I took a small sip and thought it wasn't horrible. My husband tried a few bites and couldn't go any further. I offered to add some cream to make the color a little more palatable but he was done. I'm sure this is a fantastic recipe for die hard mushroom lovers. Maybe someday I'll be a member of that group! Kudos to you for trying, despite your aversion to mushrooms. I felt the same way during the mustard tart week! I love mushrooms, but must admit that mushroom soup is not a favorite. 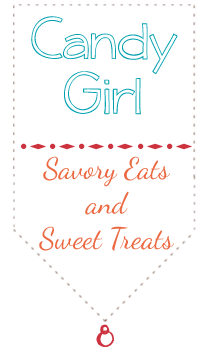 I'm glad I made this recipe, but don't think I will repeat often. Love your post. You tried. And that is what I like about the group. I grew up HATING mushrooms but now I rather fancy them. I appreciate your honesty in this post! I'm sorry it didn't turn out to anyone's liking, but I appreciate your honest review! I've had a couple of things that I didn't like in my youth that I've grown to love as I got older; namely avocado and brussels sprouts. But green pepper will never make that transition and I'm OK with that. Though I love mushrooms I also know your feelings so I applaud you for even trying; if it had been green pepper soup I would not have made it! You certainly are a good sport! My husband claims a fake allergy to mushrooms...he wouldn't touch the soup, either!!! At least you tried - three gold stars to you for that. I don't think I could have been so adventuresome if I had that much of an aversion! We didn't care for this soup much either, and I love mushrooms! I knew it would be a hard one for my husband because he doesn't really like mushroom soup. My husband loves mushrooms but not mushroom soup…he reluctantly ate it. I on the other hand, loved it. I think if I disliked mushrooms as much as you do, I would not have been brave enough to make it! I love mushroom soup but I agree, the color can be a turn off. Good for you for trying anyway! sorry it wasn't a winner in your house- I bet you'll be a mushroom lover someday! Mushrooms are one of those foods you either love or you don't. My best friend can't stand them, she says they taste like dirt. :) Beautiful soup, if you like mushrooms. What a trooper you are for going ahead and making it even though you don't like mushrooms! Sometimes no matter how hard you try it just doesn't happen. Your soup looks great though and I love your kitchen towel - reminiscent of a paint-by-number painting. I think we're all going to have recipes that aren't to our taste during this cook-a-long. I think it's great that you made it despite your dislike of mushrooms. I totally understand. It took me a good 20 years to finally come around to mushrooms. As a child I would cry, cry! if they were on our pizza.